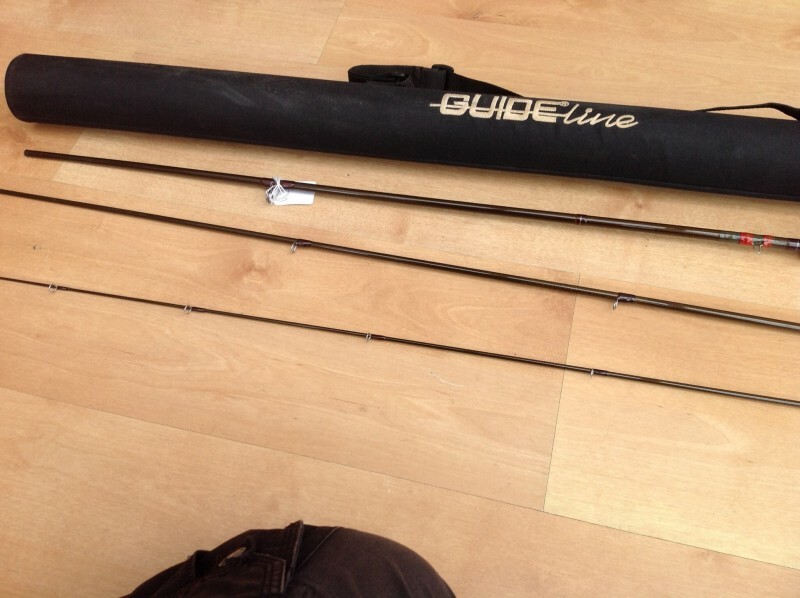 Mint guideline full carbon fly rod. 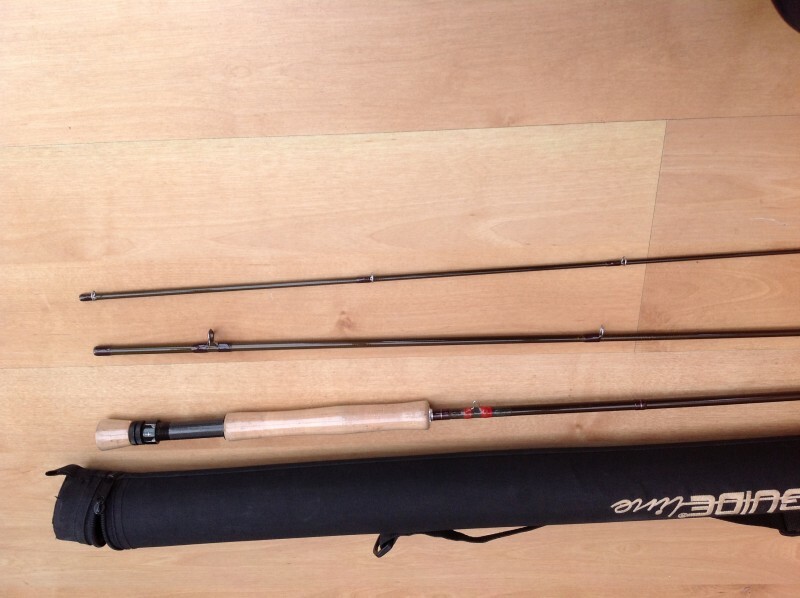 three piece 9ft 3ins weighting 7/8. Cork handle , screw down reel seat.